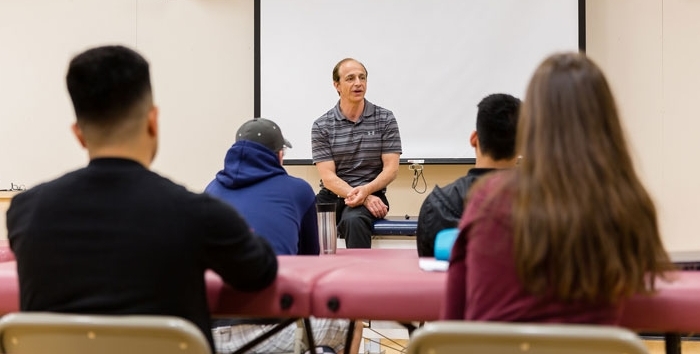 The Department of Kinesiology and Applied Health at The University of Winnipeg is student-centred with small classes and labs and accessible professors. Our professors have expertise and research interests in areas that include adapted physical activity, physical activity and aging, sports nutrition, coaching, sport and exercise psychology, motor behaviour, exercise physiology, biomechanics and prevention, care and treatment of muscle, bone and joint injuries. Professionals in the field of Kinesiology are interested in increasing physical activity participation, enhancing sport performance,development of physical literacy, the technical and tactical aspects of coaching, the short and long term effects of exercise and the effect of physical activity on society. Our mission is to provide an environment where students can pursue their potential through our commitment to excellence in teaching, research, and community service. 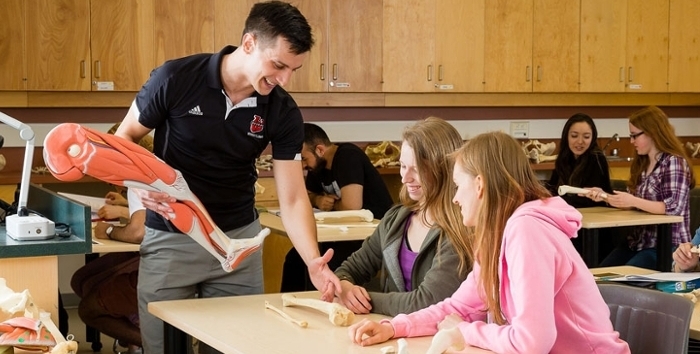 For inquiries about studying in the Department of Kinesiology and Applied Health, e-mail us at: kinesiology@uwinnipeg.ca.